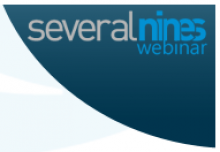 Thanks to everyone who joined us yesterday for this live session on designing HA for MySQL led by Krzysztof Książek, Senior Support Engineer at Severalnines. The replay and slides to the webinar are now available to watch and read online via the links below. HA - what is it?